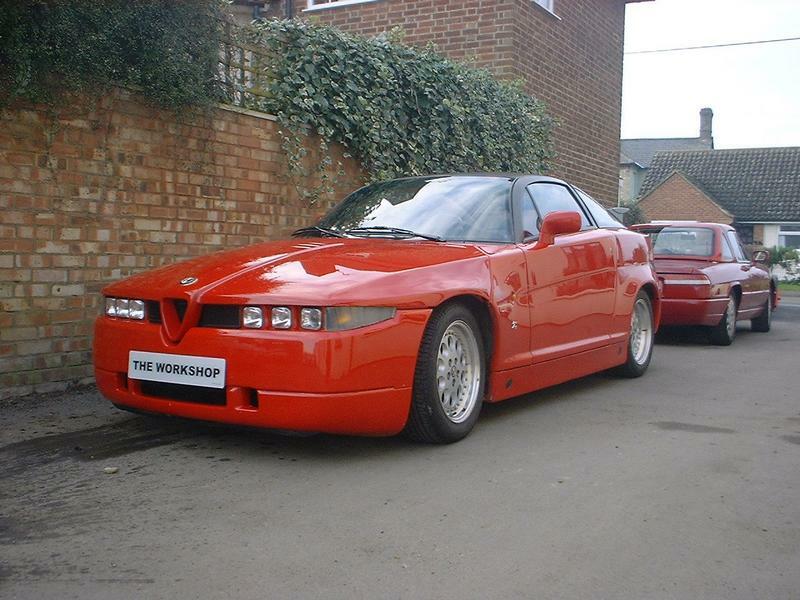 The Alfa SZ or ES30 (Experimental Sports car 30) is one of the most controversial Alfa Romeos ever. It's looks are either loved or hated; from the start it was called "Il Monstro", The Monster. Development was very rapid, taking only 19 months from the first sketch to the unveiling at the Geneva motor show in March 1989. The press had a field day with Roger Bell of Car Magazine describing it as "Ugly, ghastly, ridiculous, monstrous", and none of the other journalists were much more complementary about it. 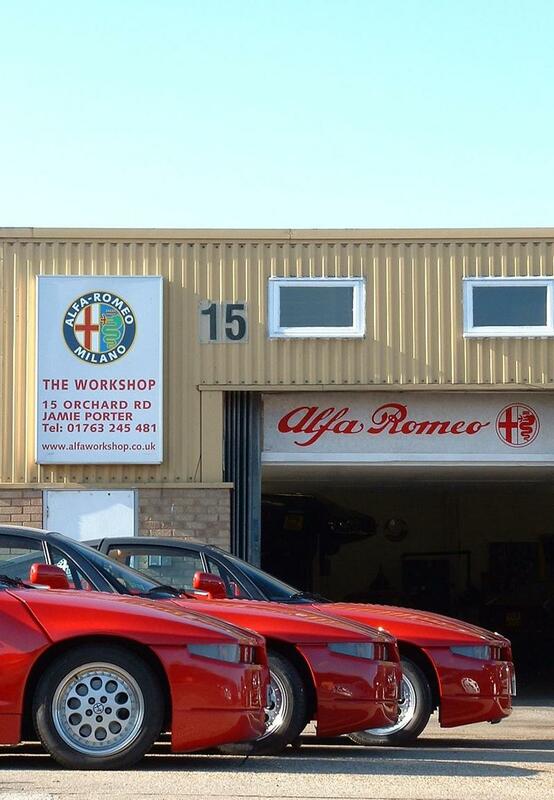 However, the car was just what Alfa Romeo needed at the time, the company was almost bankrupt and Fiat had not had time to invest significant amounts of money in Alfa Romeo and so a stop gap was needed to raise the profile of Alfa Romeo. 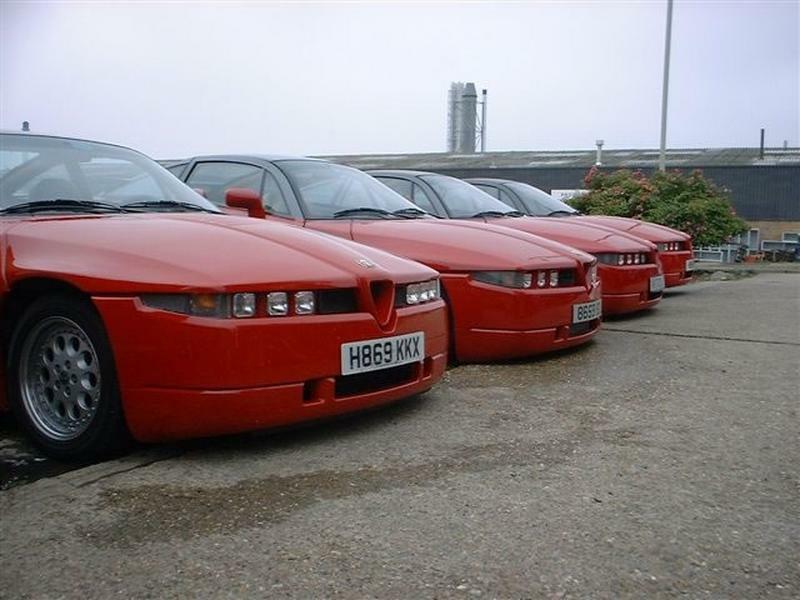 The only choice left was for Alfa Romeo to develop a car on an existing platform and the only suitable platform was the venerable Alfetta chassis which had been around since 1972. Vittorio Ghidella, Fiat's boss, gave two teams the task of designing the car; one team consisted of Fiat's design manager Mario Maioli and the other was led by Walter de Silva, who was later to design Alfa Romeo's very successful 156. Maioli came up with a very sleek design that looked quite modern and quite conservative but due to its conventional construction would have been difficult to produce, while Walter de Silva, working in conjunction with Zagato, came up with something altogether more aggressive and brutal, the SZ. In order to speed up the development of the car, initial suspension settings were sorted out by using two Alfa Romeo 75 Mules and experience gained with the IMSA racing 75's. While the body was styled and the aerodynamics were perfected on a shortened 75 V6 floor pan, Zagato set to work in conjunction with Carplast, a company that specialised in resin panels and run by Giuseppe Bizzarini son of the sports car manufactured Giotto Bizzarrini, to produce a body. The body employed a number of new techniques in order to make and fit the methacrylic resin panels to the steel framework. The panel fit of the SZ is "interesting" with the bonnet shut line looking as if it is 2cm wide while the roof joints look mm accurate with their trims inserted. The body spent many hours in Fiat's wind tunnel, and the engineers did an incredible job getting the bluff fronted design's drag factor down to a tiny 0.30, while still managing to create down force, which is very difficult as a car is shaped like an aeroplane wing. Once the car had reached the prototype stage the chassis was further developed by Giorgio Pianta who worked on some of Lancia's stunning rally cars and in testing the SZ managed to generate some incredible G figures up to a massive 1.4G for short periods of time. 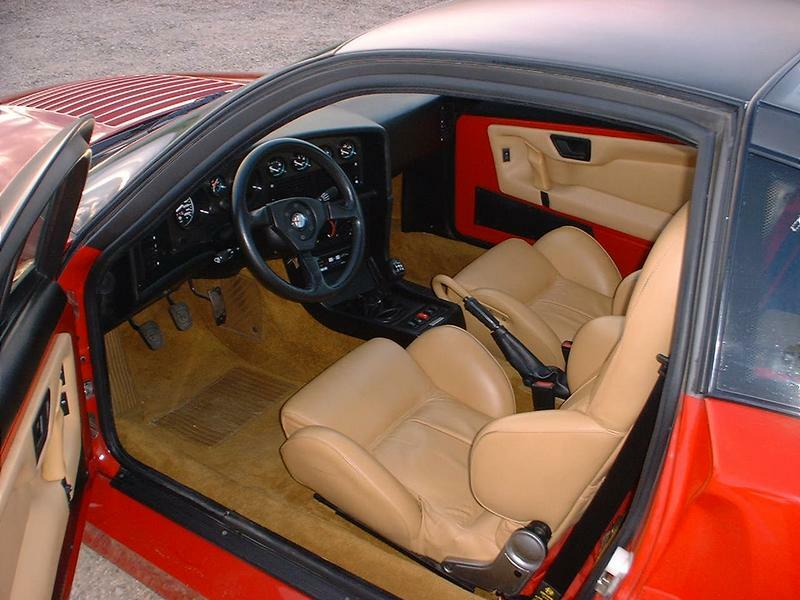 The interior of the car is a lot more conventional with large amounts of glass area and very good visibility forward, the dash is sporting with the rev counter and Speedo in front of you and the minor instruments off to the right in the centre console. Unlike its humbler 75 brethren, all the interior controls nodded at some sort of ergonomic design and are well placed for ease of use. 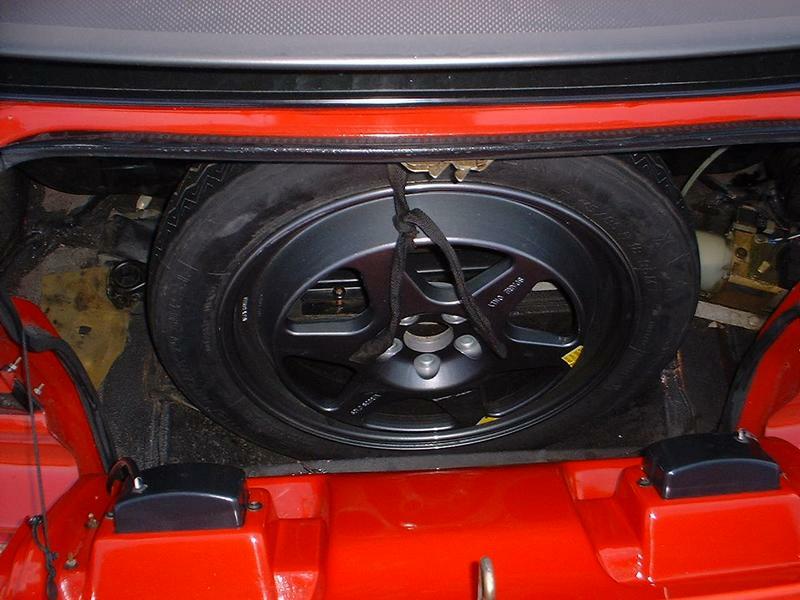 This car was designed as a drivers car and as such there are few driver aids, not even ABS. This and the race derived chassis you would think would lead to a car that would be tiring to drive, but the contrary is true At speed the car settles on the road and you can easily cross continents without effort. 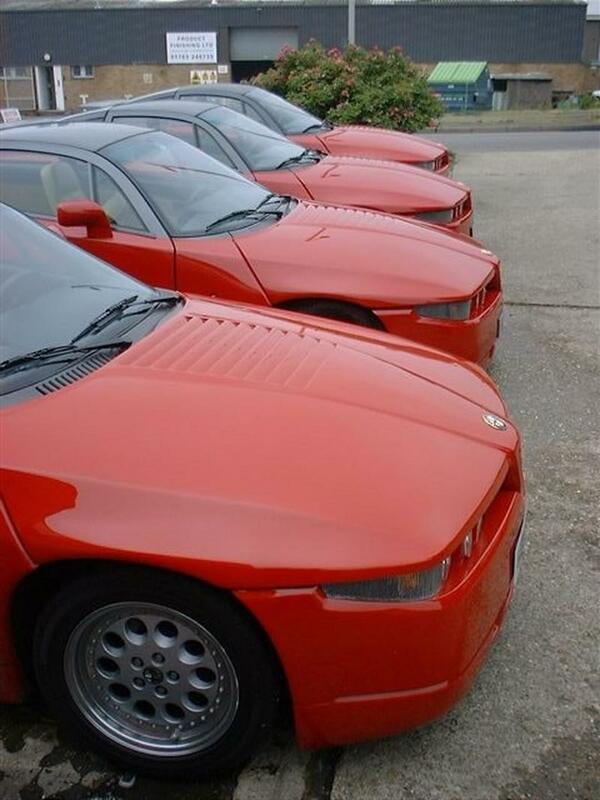 Alfa Romeo produced 1036 SZ's including prototypes and pre-production cars and they are a testament to individualism. 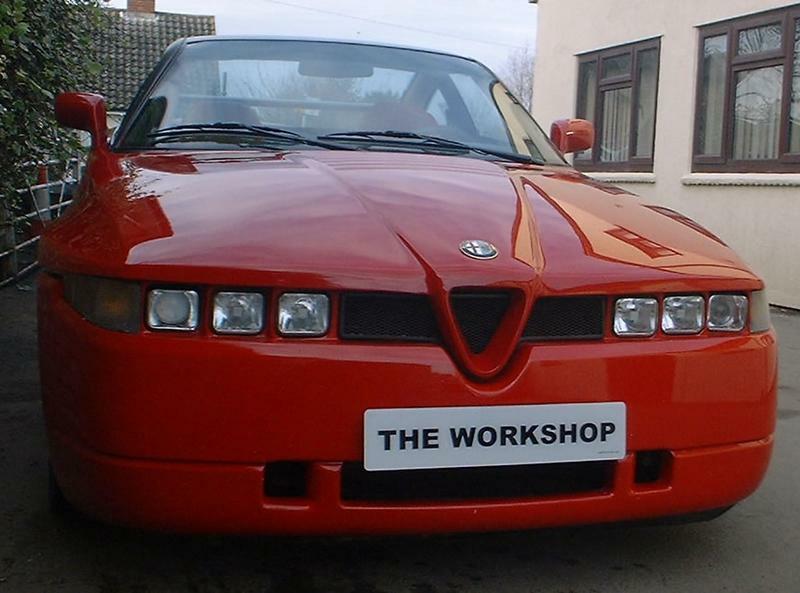 Long live the SZ ....one of my favourite Alfa Romeos.